Before purchasing this set, check out these BUNDLES, get more for your $$. We all know how ENGAGING color by number pages can be, and at this time of year ENGAGED students are a teacher's dream! 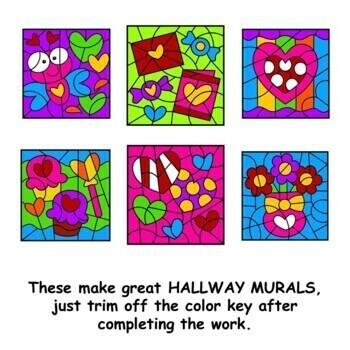 Give them some much needed SUBTRACTION practice while enjoying the CALM & FUN of coloring in mosaic picture. 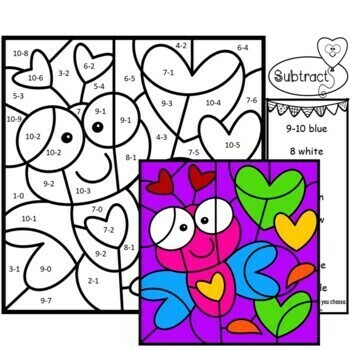 This Subtraction set includes 6 different Color by Number Valentine themed pages. 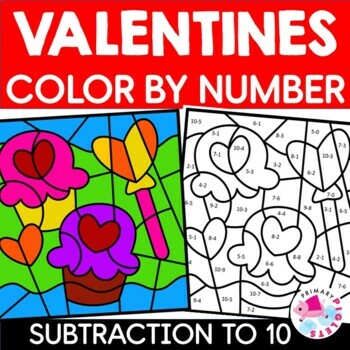 Subtraction problems start with 10- or less. Also included are the 6 answer keys in color, so 12 pages in all.